I have been doing this project management thing for a long time now – over 30 years – and the one constant, as they say, is change. One change that can have a huge impact on a project is personnel. Whether the project is a short (a few weeks) or long (a year or more), changing personnel within the project team or organization can have a significant impact. As a project manager (PM), one of the challenges you must deal with is ensuring that the project stays on track when these changes occur. Just in the last couple of years, I have had implementation projects where as much as 75% of the core project team changed during the project (including one where 80% – 4 out of 5 – of the core project team was replaced over the course of a couple of months, including the internal PM the weekend of go-live). We still went live on time with the new team members contributing based on their strengths and experience. I’m a big sports fan, and one of the things that coaches must deal with is changes in their rosters. Not only year to year, but within a season, the players come and go. How, in the extremely complex world of professional sports, do coaches ensure that new players are up to speed quickly – after all, they cannot postpone the game this weekend just because they have some new players? Documentation – Make sure that project documents are up to date and accessible so that new resources have somewhere to go to get themselves up to speed on what has happened so far. The first thing new players on a team are given is the playbook so they can study and learn the system – the same is true for a new resource on a project. As the PM, ensure that they project playbook is given out early and go over it with new resources. Value the new resource – Whether a new hire or a reassignment, the new resource has skills and value. Take some time to learn what those are and leverage them. Although as a PM, particularly an external PM, you may not be directly managing that resource, you can treat initial conversations with them almost as a job interview – ask questions about prior project experience and see how they will best fit into the team. Set clear expectations – Make sure that the new resource clearly understands what their role is and what is expected of them. Often new team members will be timid about speaking up or taking initiative – as the PM it is up to you to integrate them into the project and define for them and everyone else what their role is. Identify key areas where immediate contributions can be made – The sooner a new resource can make valuable contributions to the project, the sooner they will be integrated into the team. 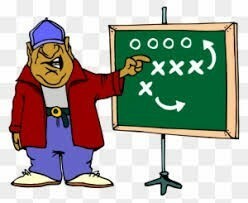 Think back to the sport analogy – while a new player may not know the entire playbook the first week, a coach will draw up a few special plays to get them involved and showcase their skills. That is as much for their teammates to see how they can enhance the team as it is towards winning the game. Joe Gibbs’ Redskins won 3 Super Bowls with 3 different quarterbacks – that was not an accident. More recently, although Bill Belichick has had Tom Brady as one constant, the rest of the team over the incredible run they have had has been somewhat of a revolving door. How is that possible? He has a system in place where he is a master of learning a new player’s strengths and making the maximum use of those strengths. His goal is the overall success of the team, and he can move players in an out while keeping that overall target in mind. The same holds true for software projects – the overall success of the project is the goal. As the team changes, the PM (Coach) must make the best use of the ‘players’ available to ensure things stay on track. At ACUMEN Corporation, we utilize best “in-class” tools and practices to ensure our projects stay on track. Combine that with SAP Business One’s project and implementation toolkit, and we have a great playbook for continued project success amid your changing business landscape. Contact us to see how we can help your business grow and succeed.